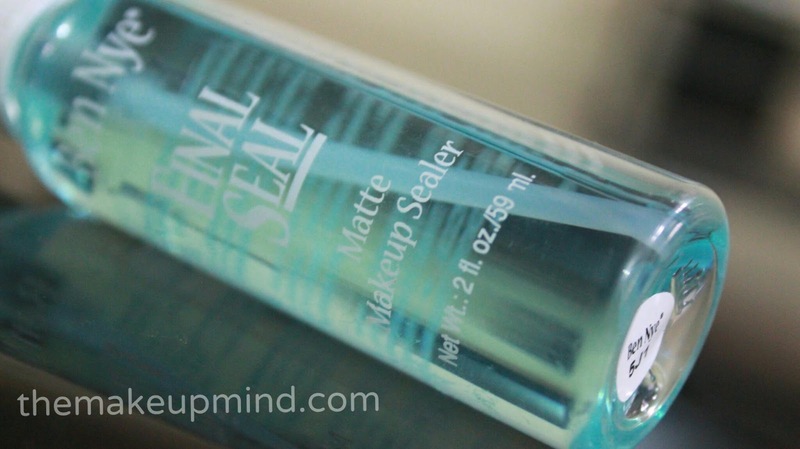 I'm always in search of a good makeup setting spray. As much as I love my Mac fix+ spray, it gives me a dewy look which I don't always want. 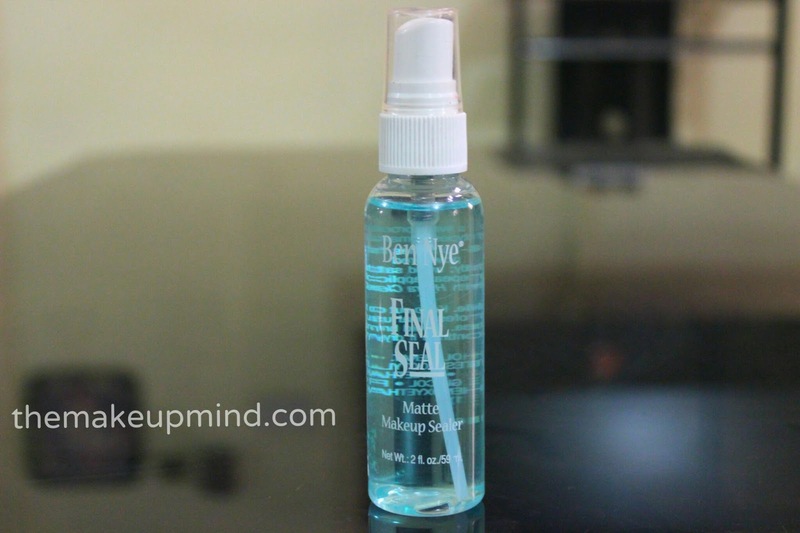 Sometimes, I want a completely matte look even after using a setting spray and thats how I discovered the Ben nye final seal. The Ben nye brand isn't big on packaging. They just sell their products in simple containers so I want expecting anything fancy. I love the sea green/blue look of the liquid in the plastic bottle though. The product comes in four different sizes and the biggest size is about 473ml! I usually hold it about 6 inches away from my face when spraying it. I actually had to transfer the contents of the bottle to an empty fix+ bottle because I did not like the way the product came out of the pump which was provided. Upon application, this feels really stingy! I 100% dislike the feel of this product on the skin. It literally feels like I'm spraying alcohol on my face. Also, it has a really strong and concentrated smell which is quite annoying. 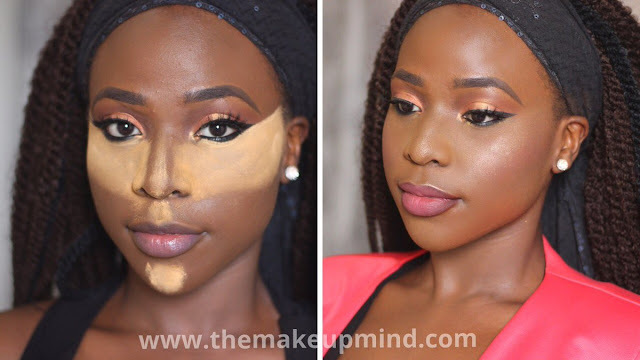 It takes a while to completely dry on the face (about 5 minutes compared to some that take 30 seconds). It also feels really sticky after the product dries. Some people might be able to cope with this, while some can't. I'm still going to be using my fix+ spray for the days I want to look dewy and fresh but for those hot days that I know I'll be really busy, then I'll use this one. Also, I really don't like the feeling and smell of this so some days when I know I'm not in the mood to tolerate it, I definitely won't use it either. Don't forget to follow me on Instagram, twitter, YouTube and Facebook! Thanks for the review been looking for a setting spray, this looks like an option! Nice review. I dont think i can deal with the smell. Have you tried skindinavia?? I'd love to see a review on it. I used this for about a year but i could no longer stand the sticky feeling and switched to fix+. This wreaked havoc with my makeup once when it sprayed out of the bottle in droplets rather than in a mist like the fix+. I heard it can be diluted for better application, i may do that just to see if it helps. Really?? I'll try diluting it and see how it goes. Thanks!